Nanhi an upcoming tv serial on Zindagi .Originally this Serial was aired on Geo Tv in Pakistan.The show was very popular in pakistan. The show is aired on Zindagi tv from 14 January at 10.20pm. 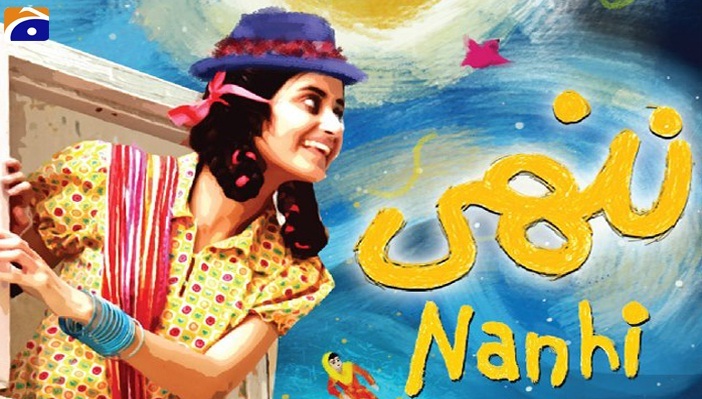 The story revolves around a little kid named as Nanhi who is living with Aunt Shamoo. Shamoo is a baby kidnapper who steals babies to blackmail their parents and get heavy money from them. Nanhi is not her own kid or relative, she is the first kid who got kidnapped by Shamoo. Nanhi is almost fed up of taking care of others children and want to get her own by marrying with someone. What will be the decision of Shammoo about Nanhi? 'Choti Si Nanhi Si' is the theme song of this show. Promo of this show will be released soon.